Thriving small businesses and innovative young entrepreneurs are due to gain the credibility and recognition they deserve for putting the North East on the map at one of the most prestigious business awards of the year. Sponsored by some of the biggest names in business across the region, the ‘Northern Star Awards’ at Newcastle City Library on Wednesday 25th March will be a must-not-miss event in the calendar for those involved in enterprise across the North East. The awards ceremony will be held in the Bewick Hall at Newcastle City Library from 5.30pm to 8pm and welcomes a host of guest speakers scheduled to present the awards and share their stories throughout the evening. An event to champion and celebrate the continuous determination, passion and enthusiasm of small business owners and young entrepreneurs in our region, the awards will be a culmination of success stories shortlisted by organisers Project North East, The Prince’s Trust, TEDCO and Sage (UK) Limited. The North East’s leading enterprise agencies have joined forces to create a truly special event that seeks to showcase emerging talent in our region, instil confidence in those looking to follow in their footsteps and inspire the community to show their support for independent businesses on our doorstep. In addition, there will be an overall ‘Northern Star Award 2015’ chosen by a panel of judges from the above category winners. 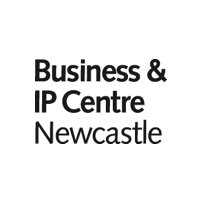 Business & IP Centre Newcastle at the City Library has become an invaluable resource for small businesses and entrepreneurs whose expert skills, knowledge and services continue to add diversity to our region. All nominations have been judged by a panel involving representatives from PNE, Newcastle City Council, TEDCO, The Prince’s Trust and Sage (UK) Limited. The Northern Star Awards are not only a perfect opportunity for the small businesses and young entrepreneurs involved to showcase their businesses on a wider scale and gain fantastic PR, they are also a chance to instil confidence and hope in young graduates, apprentices and budding entrepreneurs that there is a world of work out there in which their skills, knowledge and experience is of tremendous value. Whether they choose to go down the route of self-employment now, or later in life, the North East is a great place to do business. To follow the event online, keep an eye on the @BIPCNewcastle Tweets on Wednesday 25th and Thursday 26th March. I think there may well become a few duplicates, but an exceedingly handy record! I have tweeted this. Numerous thanks for sharing! Ideal do the job you might have performed, this site is really great with amazing data. Time is God’s means of preserving almost everything from happening without delay. Great function you have completed, this website is actually cool with fantastic facts. Time is God’s means of retaining every little thing from occurring at the same time. Superb info may be discovered on this internet blog site. to uncover concerns to enhance my internet site!I suppose its alright to produce use of a number of of one’s concepts!! Fantastic function you might have done, this site is actually awesome with great info. Time is God’s strategy for maintaining anything from occurring at the same time. Fantastic work you’ve done, this site is really awesome with superb information. Time is God’s means of maintaining everything from happening directly. Involving me and my husband we have owned extra MP3 gamers over the years than I can count, which include Sansas, iRivers, iPods (common & touch), the Ibiza Rhapsody, etc. But, the last few a long time I’ve settled down to one line of players. I think engineering just can make it even worse. Now there is a channel to hardly ever treatment, now there is not going to become a chance for them to find out. to discover difficulties to improve my website!I suppose its okay for making usage of a few of your concepts!! Excellent information can be uncovered on this web website. Ideal operate you’ve got accomplished, this great site is really neat with amazing details. Time is God’s method of holding every little thing from happening at the same time. I feel there may be a several duplicates, but an exceedingly useful list! I’ve tweeted this. Numerous thanks for sharing!